Helping low-income rural families earn more, keep more of what they earn, and grow what they keep into assets. and GROW what they keep into assets. Workers hold jobs that pay wages and offer benefits that support a stable family life. Many full-time workers earn wages too low to meet their families’ basic needs. In rural areas, many local jobs are either seasonal or part-time. Most of the fastest growing industries in rural areas—for example, tourism and hospitality or services – pay only the minimum wage. Benefits—especially health insurance and leave policies—contribute to family stability and flexibility by lowering the time, stress and dollar costs of family care, and making them more manageable and predictable. Fewer jobs in rural areas offer benefits – due to the preponderance of smaller businesses, seasonal and part-time jobs, and self-employment. Workers without health insurance are often one family health crisis away from job loss and/or bankruptcy. Check out related Action Ideas and Alerts below! Or view other Earn It goals here. How much does it cost for a business to replace an employee? Filed Under: Data, Goal 5: Workers have a reliable, affordable and efficient means of transport to get to their jobs., Goal 6: Workers find the reliable, convenient, affordable and appropriate child and dependent care they need to maintain a job., Goal 8: Workers hold jobs that pay wages and offer benefits that support a stable family life. Filed Under: Action Alert, Feature, Goal 7: Families know about and take full advantage of the wide range of available public and private services that help reduce their cost of living., Goal 8: Families have ready access to affordable basic goods and services – food, clothing, housing, household goods, and health care., Goal 8: Workers hold jobs that pay wages and offer benefits that support a stable family life. 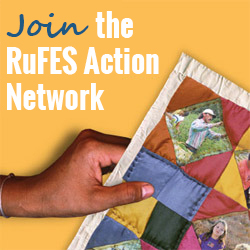 RuFES is a project of the Annie E. Casey Foundation and the Aspen Institute Community Strategies Group.